Tours de Sport's Blog: 30% savings and Kids eat free @ the Teton Mountain Lodge, Jackson Hole. 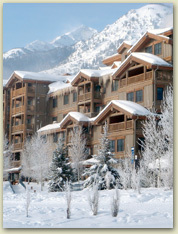 30% savings and Kids eat free @ the Teton Mountain Lodge, Jackson Hole. Take Advantage of 30% Off Your Room or Suite** & Now Kids Eat All Meals for Free! Over 25 Feet of Season Snowfall in Glorious Jackson Hole! Book: The Best Ski Season at 30% Off! *Kids under 12 eat and drink free in Cascade Restaurant during breakfast, lunch and dinner mealtimes. All room types except 3 Bedroom Suite & Penthouse. Sale rate subject to availability. Blackout dates apply. Cannot be combined with any other offer or promotion.